1540 Post Road, where the Darien Board of Education wants to move the town's alternative high school program, on Feb. 21, 2018 in Darien, Conn.
DARIEN — The town’s alternative high school program may soon have a new home. The Planning and Zoning Commission approved a referral for a request by the Board of Education to lease office space to house Fitch Academy in an office building on the Post Road. At a Feb. 13 Planning and Zoning meeting, the district’s director of facilities, Mike Lynch, said the Board of Education is looking to move Fitch Academy to office space at 1540 Boston Post Road. The alternative program is currently housed at the Darien Library as part of a one-year, nonrenewable lease. Lynch said the program requires 2,500 to 2,800 square feet of space to house up to 30 students. The program has 13 students and is planning to expand to 24 next year. There will be the equivalent of four full-time staff members working at the school. Only small buses, vans and parents will be allowed to bring the students to the space, as the teenagers are not allowed to drive themselves. 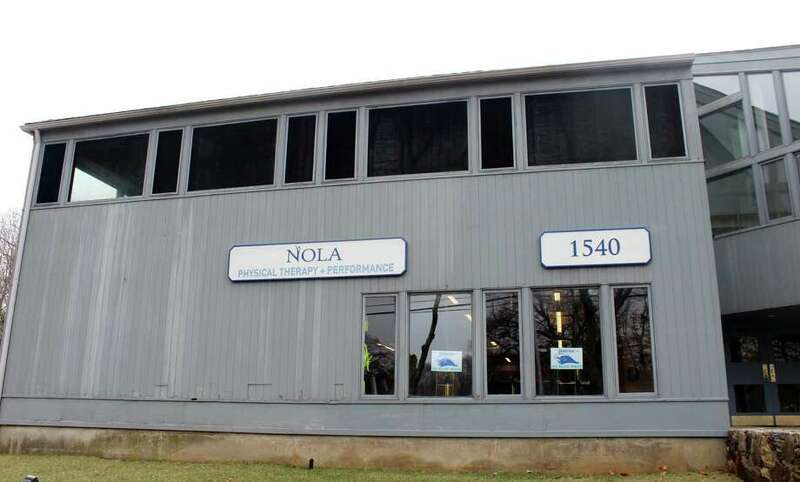 The office building, across the street from Spring Grove Cemetery, is now home to NOLA Physical Therapy and Performance and signs showing Blue Wave support were in the windows of the first floor. A sign in the lobby of the building listed East Coast Structures LLC as a second-floor tenant, where Fitch Academy would also be housed. 1540 Boston Post Road shares a parking lot with an adjacent office building and on a recent weekday morning, the area was quiet and neither NOLA nor East Coast Structures was open. According to Lynch’s proposal, the rental space will have room for two classrooms and a breakout space for students to eat lunch. There will also be an office for a counselor and a faculty room with four or five desks and a refrigerator for staff. The program will follow regular high school hours and the school district schedule. Lynch said state and local fire and building marshals have gone in to inspect the space and ask the landlord to make some improvements. Planned changes include putting in an elevator, adding a new front lobby and a handicapped-accessible bathroom. The students and teachers will have separate bathrooms. The space is in a business zone, but the application, submitted Feb. 1, asks for a change in the zoning to permit educational use. The board approved the referral unanimously. A public hearing about the application will take place March 13.